In the fall of 2016, The Korea Gallery’s scheduled decade-long run at the Smithsonian’s National Museum of Natural History (NMNH) was coming close to its end. The question arose – what do we put in its place? A fun challenge, but a challenge nonetheless! 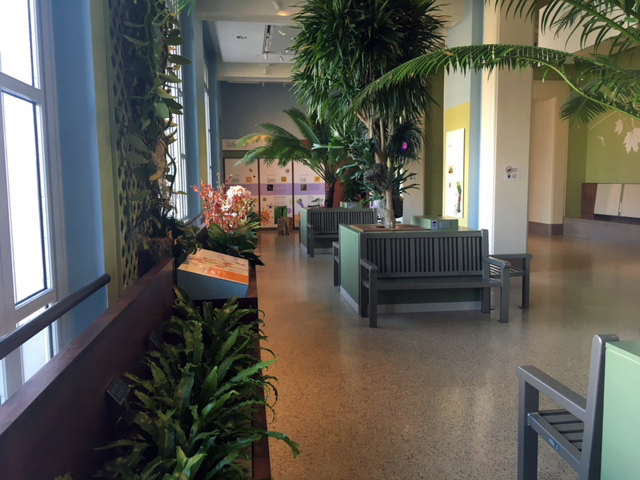 Many ideas were proposed, but ultimately the museum’s exhibits team landed on designing an interior garden to fill the space. The idea of bringing more nature and life into the building was an attractive one that helped address the museum’s two major 2016-2020 challenges: 1) a rapidly changing planet and 2) the current state of natural history museums. By increasing visitor exposure to plant life systems and the ways in which plants are connected to all other natural systems, we can encourage people to be aware of how changes to one area of life can dramatically impact another. By bringing the outside world indoors, we use innovative ways to address our museum’s role and value in society. Planning, designing, and building a garden from the ground up is a big project. The complications increase when that garden is built inside of a museum. The plants used in the exhibit were going to need strong roots in order to stand up to the seven million people visiting NMNH each year. Nevertheless, the NMNH exhibits team set out to make this idea a reality. 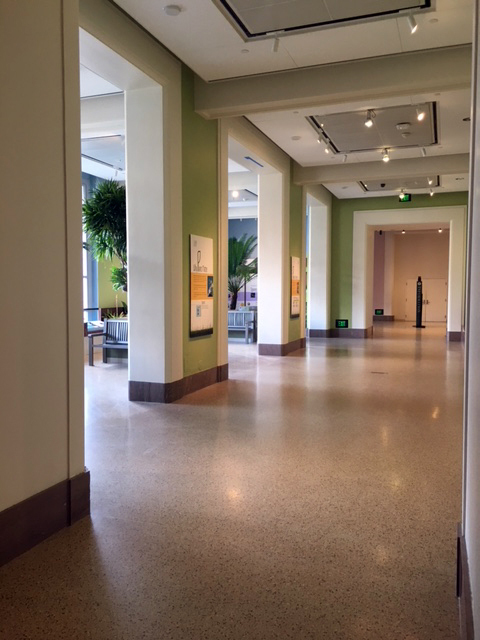 Working with a botanist, Smithsonian Gardens experts, designers, science writers, visitor services, and project managers, the Office of Exhibits began to imagine the transformation of the 1,855-square-foot space (Hall 24). We hoped to transform the space into a welcoming garden for visitors to recharge and rest with live plants, bright sunlight, and educational information. The primary function of this space is to give visitors respite from the hustle and bustle in the rest of museum. At the same time, we also wanted to take the opportunity to introduce new and important botany themes, a currently underrepresented content area in the museum. During the planning phase of the project the team started out with the theme of plant evolution. We ultimately landed on “seed dispersal” as our central exhibit theme. Now the question, what do we actually call this space? That’s where visitor testing came into play. We asked the public what they thought of a range of potential titles. Some included the Upper Garden, the Oasis, the Botanical Bower, the Green Lounge, the Leaf Lounge, and the Living Room. This exercise proved to be very informative as it helped us understand how visitors might interpret the function of the space based on its title. For example, many visitors who spoke English as a second language thought that a space called “The Living Room” was actually going to be set up like a living room, with furniture and maybe even a television. That was the exact opposite of what we were going for so we scrapped that idea pretty quickly. While using punny language in exhibits is always fun, we have to be mindful of where and when to use it. We always want to keep our visitors foremost in mind. 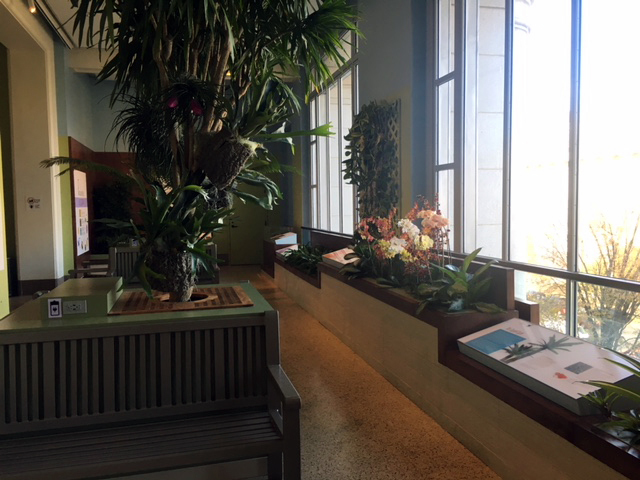 As part of the design planning, we took a field trip to the Smithsonian Gardens greenhouses in Suitland, Maryland to see the plants that would eventually live in the exhibit so we could plan and design accordingly. 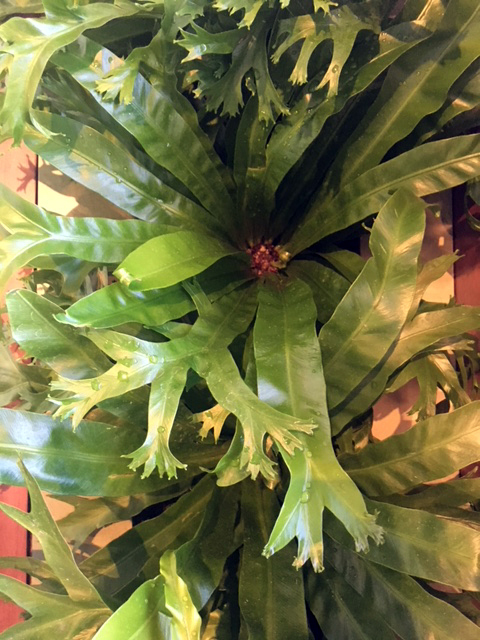 This involved getting accurate dimensions of the plants (ferns, orchids, and bromeliads) and getting creative about how we installed and cared for them once they were in the exhibit. The biggest specimens were two huge (over eight feet tall) Cycad trees, a male and a female (yep, some plants have genders!). Mapping out the route we’d take to get these big ancient trees into the building was quite an adventure. Remember those “strong roots” these plants were going to need? These trees are tough, with a lineage of over 280 million years, and they’ve survived some massive environmental changes. We figured they’d be able to hold up on even the museum’s busiest days. 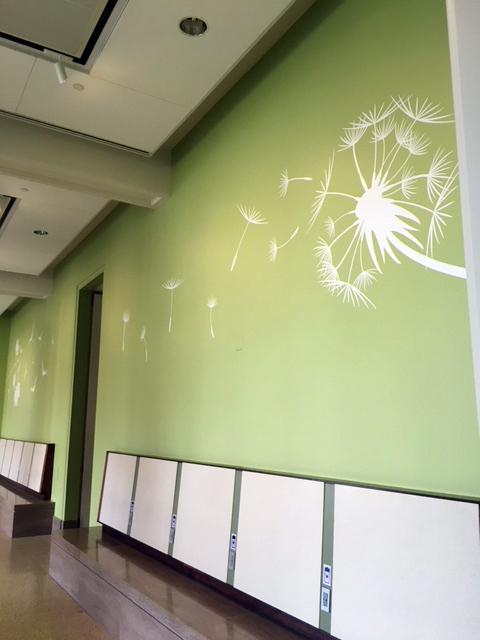 WHY a Garden/WHY at NMNH? Some visitors don’t always connect with our mission because the idea of a trip to a museum means a lot of walking, crowds, and information overload. With so much to see at a museum, and usually not enough time, fatigue can set in quickly. Here at NMNH we understand this reality more and more each day. So instead of encouraging visitors to exit the building when they are tired to find peace and quiet elsewhere, we decided to create a space for rest within the museum itself. This, we hope, will allow visitors to take a breather and recharge their minds, bodies and mobile/cellular devices as they reflect on all they’ve seen. It was great to be a part of this exhibit from the start. 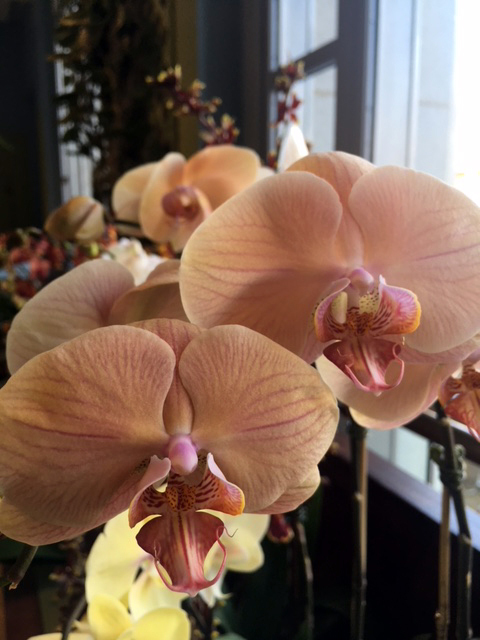 Oftentimes plants are an afterthought in exhibit spaces. The NMNH team made us feel welcome by including us in their “Exhibit Bootcamp.” This enabled us to become familiar with the process of planning an exhibit all the way to the finished product. I learned that for an exhibit to be successful, it is all about teamwork. Having the right key players is essential. No one person is skilled at everything. It was helpful to have the Smithsonian’s Botany Department and Smithsonian Gardens in on discussions about themes and plant selection together. The Botany staff knew the science behind the plants and which ones would match the content. Smithsonian Gardens staff could then tell the group what plants were obtainable and whether they would do well in the space and fit within the budget. Once the plants were selected, we had lots of discussions about design. To keep costs down the decision was made to retrofit the existing display cases, which was a bit of a challenge but kept things interesting. The whole process was a great learning experience. The plants have done better than expected in the space. We decided several months ago to change the layout to include one large Cycad in the middle with two large Dracaenas flanking it. This configuration came about because it was difficult to find two large matching Cycads. 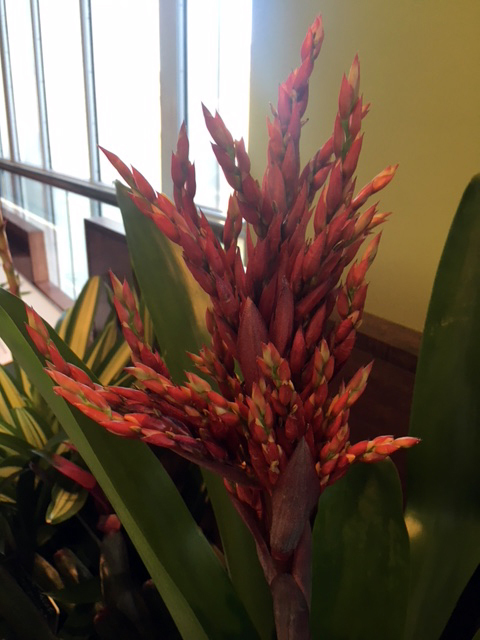 It is fun to be able to change up the color schemes of the flowers during the year depending on plant availability. It is gratifying to have a large plant presence back in NMNH. Our hope in planning this interior garden is that with more space to decompress, visitors will get more out of their overall experience at the museum. 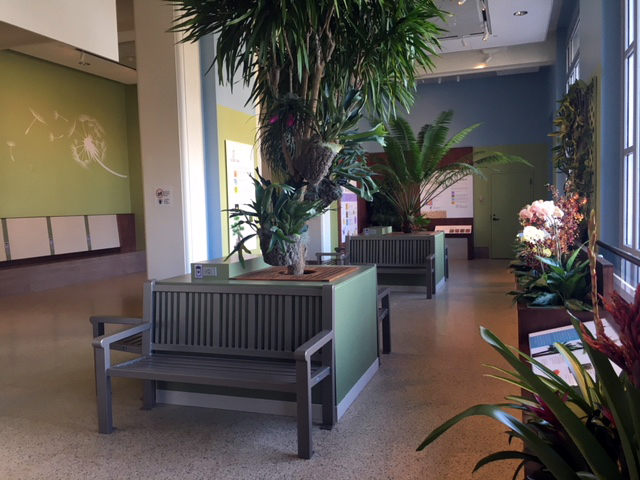 With a place to sit and take a break, they’ll feel more comfortable and enjoy their time here at NMNH a bit more. As things change, we must be cognizant of the needs and expectations of our visitors. We have to provide more ways for folks to engage, and disengage, with our content. Information overload is a real thing. Our society and technology have evolved rapidly, but in many ways our brains haven’t quite caught up. That’s not what we want visitors to experience during their museum visit. Therefore, we think that by designing and creating an innovative and non-traditional space, uncommon in the majority of natural history museums today, we can lead the way in audience engagement and visitor expectations. Perhaps we can even help propel the natural history museum community forward in its practices when it comes to responding to visitor needs and creating quality visitor experiences. We’ve observed many happy visitors “lounging,” charging their mobile devices, and enjoying the natural light and the view from the second floor of the historic Natural History Museum. We’re also happy to report that many children enjoy our kid-focused area where real tree stumps are placed for folks to “plant themselves” as they learn more about how plants move about! -Story contributed by Lauren Kibbe, former NMNH staff and friend of the Smithsonian, with contribtutions from Smithsonian Gardens and NMNH staff. The Garden Lounge's airy space is a place to relax and recharge. 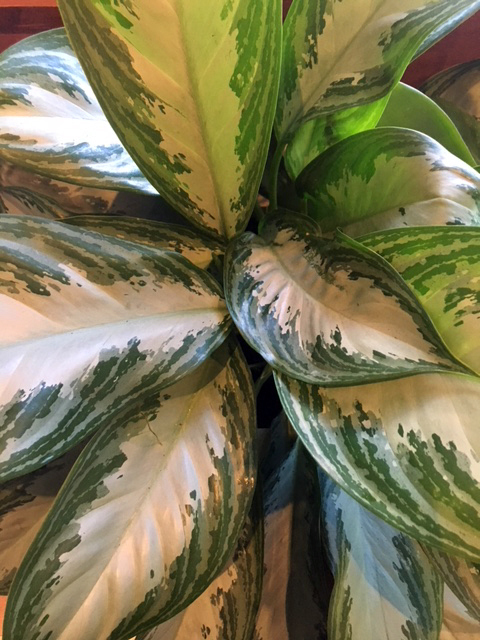 Aglaonema, more commonly known as "Chinese evergreen"